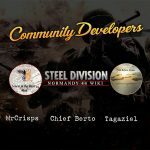 One of Steel Division: Normandy 44‘s key features is the brand new Dynamic Front Line. This innovative feedback tool, displayed for the duration of the battle, evolves with each of your actions, surging forward as you succeed or invading your part of the battlefield when your units are broken. It reflects the power struggle between the two sides, objectively measuring the ground controled during the game. The Dynamic Front Line accentuates the feeling that you are taking part in a realistic WW2 warfare. 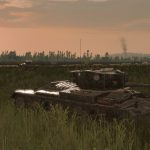 Since late 2015 we’ve had the idea to create a dynamic, innovative gameplay mechanic which would evoke traditional battle briefings and also slightly break off with the static side of Wargame. We wanted to make something unique that merges fluidity, reactivity and realism and that you could understand in real-time just at a glance without being too intrusive. “The Dynamic Front Line was a technical and design challenge that was a pleasure to take on.” according to Karim Kadar, Lead Gameplay/AI developer, “I can’t wait to see it in the players’ hands!” It was a massive amount of work to find the right tool and the right balance, but it was definitely worth it. 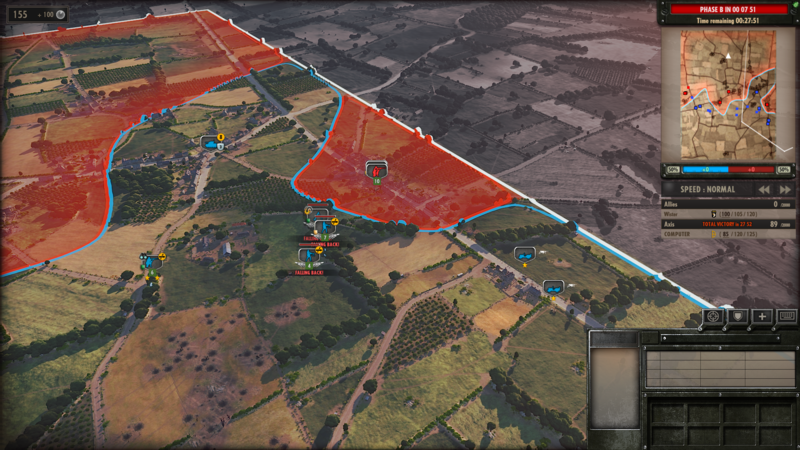 The Dynamic Front Line as it appears today gives the game all its flavour and opens up multiple gameplay possibilities. 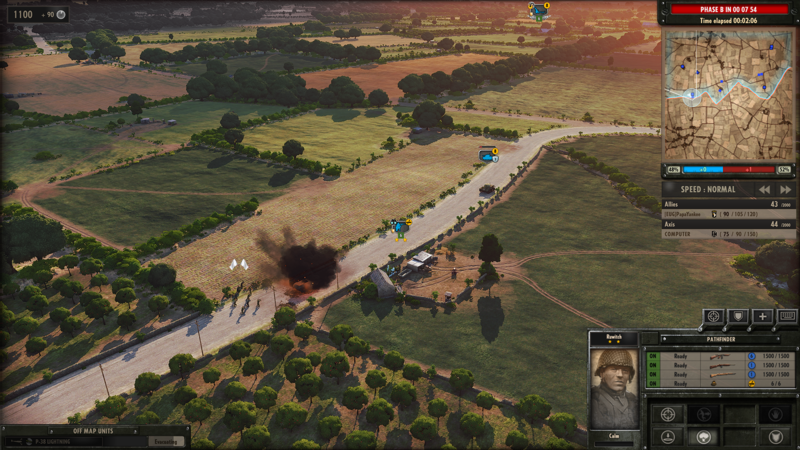 As the battle unfolds, the front line visually evolves according to the players’ actions. Its motions draw a unique scenario with each new game and shape the balance of power. 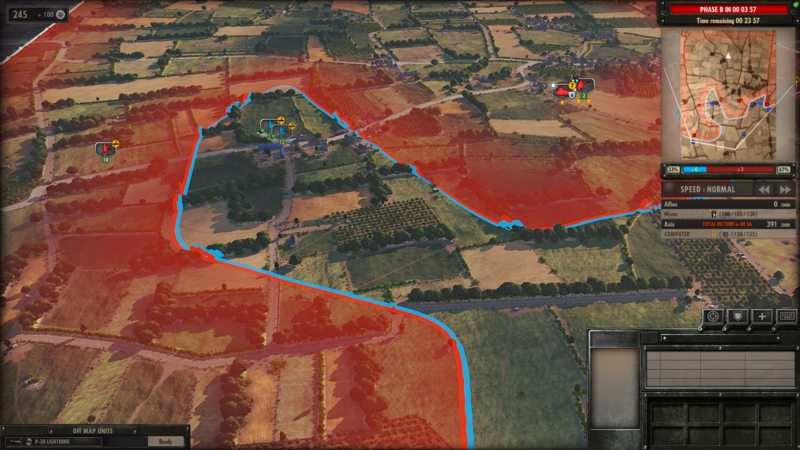 Your objective, as players, will always be to expand your control over more ground: the front line demarcating the part of the map controlled by the enemy and one under your control will allow you to visualize your progression (or the enemy’s) in a glance. Each unit counts and most of them can impact the front line. When your units are advancing and securing more ground, the front line evolves accordingly in real time. In the same way, the front line will be pushed back your way if the enemy regains the upper hand. The front line underlines the “hot spots” where the fightings rage and where you have to direct reinforcements in order to plug a gap or repel an enemy breakthrough. But beware: some units may approach, and even cross, the front line without impacting it, and therefore without revealing themselves to the enemy. This adds a real depth to the mechanic. 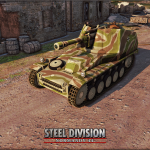 With anti-tank infantry teams such as bazooka or Panzerschreck or recons squads, you have the opportunity to play sneaky. Of course, air units couldn’t care lass about whom owns the ground below (but for AA fire!) hence don’t affect the front line either. Paratroopers, on the other hand, can fight behind enemy lines without penalties, unlike regular troops. In the end, one courageous group of soldiers can make the difference. The front line is also a tactical instrument that facilitates the understanding of the battlefield as a whole. This feature is what enables you to take a step back and have a global view which helps you make the best decisions. Every part of the map has its importance now. You must choose what deserves your attention. You must consider the most effective strategy at any given time, even if you have to deviate from your initial plan, as losses grow or opportunities come to pass. Ingame events shape the front line in an always unique way. Is it better to hold your position or attempt a breakthrough? Do you have to abandon the “hedgerow hell” for some safer urban areas? 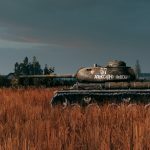 Does a tanks column forces you to withdraw? 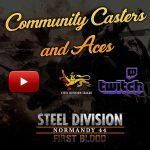 In Steel Division: Normandy 44, you don’t need to always kill your enemy to the last man, but with the good move, you can make them surrender. Most of the units outside the player’s influence area are in great danger. They suffer a stress penalty, and lose influence – visualized by a decreasing circle around them. Again, some special units don’t suffer from this penalty, like paratroopers, leaders or recons. Leader units support suppressed units and improve their stats inside their area of effect, avoiding therefore the frontline to crumble. Like in real combat, you always want them to have your back. Leaders aren’t all-powerful though and they can surrender as well if they get stressed. You may need to secure your positions before pushing elsewhere: you don’t want to fight for the same place again and again because you were not careful enough. As simple as it may seem, don’t forget to regularly zoom out to really see how the match is unfolding and to spot decisive confrontations. With some experience, you’ll be an expert in reading the front line’s curves. Each bend is well-thought and gives you some information about the forces involved. The more distant the front line is from your unit, the more distant the enemy unit is from its side, more or less. But don’t always trust everything you see as more enemy units can be nearby, hidden or in support. Salients are therefore valuable information to decipher in order to lead your troops. This kind of situation is perfect to reach a breakthrough but also comes with its share of risks. If your units get bypassed and trapped in a pocket, they will be more likely to get killed or captured. And breaking out in these circumstances is not the easiest thing to do. 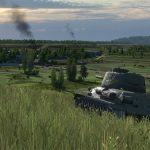 According to Félix ‘FLX‘ Habert, Game Designer at Eugen: “Adapting features usually associated with Turn-Based Tactics (TBT) into RTS can be a risky move but if done right it creates great dynamics”. 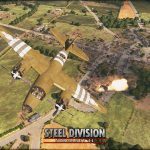 Indeed, the Dynamic Front Line is one of the major tactical innovations you can find in Steel Division: Normandy 44. Drawn into the map, it shapes the balance of power in real time and adds a unique tactical depth to the game. Now that you we gave you some clues to understand it better, no doubt you will prove your skills on the battlefield! Don’t forget to Sign-Up Now to get your hands on a free cosmetic DLC, forum avatar and a forum icon, featuring the legendary French flying ace Pierre Clostermann, who flew Spitfires in the 602nd Squadron! Yea.. i think i need a VIP beta invite! 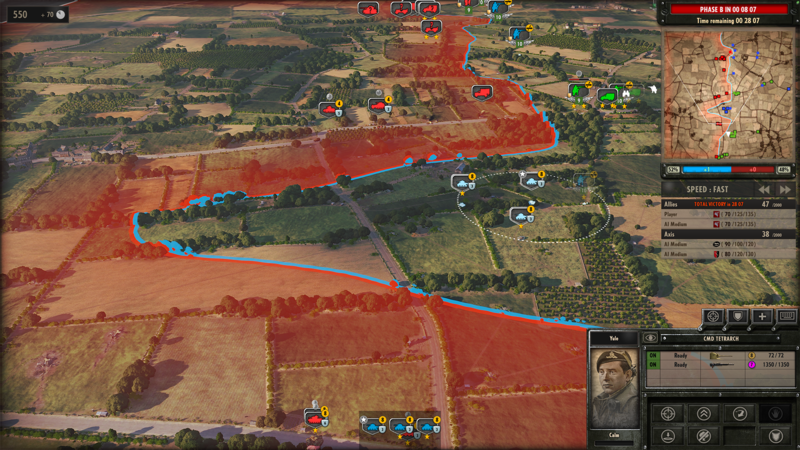 I consider the dynamic front line as a great addition to the tactical aspect of the game. It also enhances the economics and makes map control logical. Though i think it shifts too easy when annihilating enemies. The front line should only change when you or you opponent have control(read vision) over the area. Outstanding job Eugen. You guys are amazing! This option needs to be included. From the gameplay videos I’ve seen over at hte ParadoxExtra channel on Youtube, it seems this is already in the game. Except for the solid line where the front lines meet, the colouring seem significantly weaker in the videos than in the screenshots above. Most innovative feature in an RTS in years!!! Great Job! Yup, instant buy for me! As long as we have full control of the icon sizes and the opacity of this bright and colorful frontline. Some of us need minimal UI, we like to see the nice map you’ve made, not have it buried by a giant ‘Hey look at me I’m the frontline!’ line. After awhile you can take the training wheels off and ride the bike with just 2 wheels.